An Australian research institute is making waves in the way of international relations through the generous donation of a $132,000 piece of highly specialised research equipment to our Chinese counterparts. 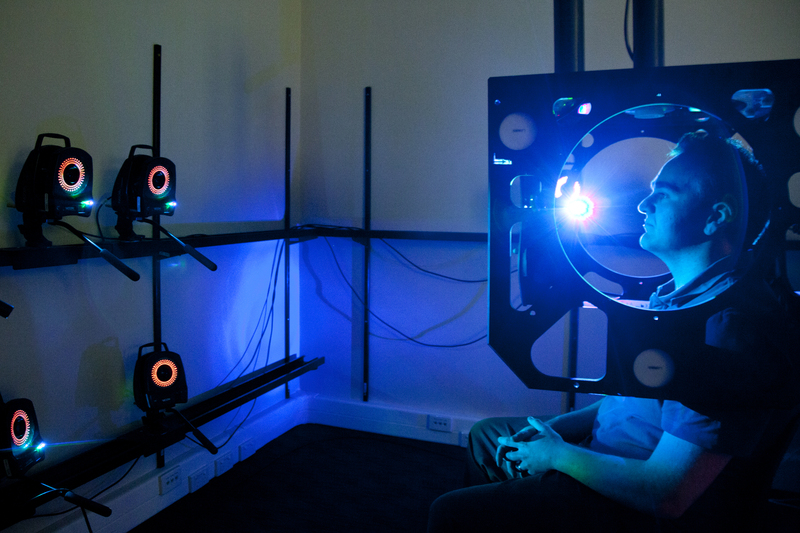 The high-precision Electromagnetic Articulograph (EMA), formerly owned by the MARCS Institute for Brain, Behaviour and Development at Western Sydney University, is used to conduct ground breaking research on speech production and language acquisition. The machine will be donated to the School of Foreign Languages for Economics & Trade at the Southwestern University of Finance and Economics (SWUFE) in Chengdu, Sichuan Province, China. The EMA is used to track tongue and facial movements during speech to identify how speech is produced, and subsequently how speech impediments may occur. EMA was used at the MARCS Institute to investigate speech patterns of the Wubuy language spoken traditionally by Aboriginals in the Numbulwar region in Northern Australia, of which the remaining population is only 687, and less than 60 are native speakers of Wubuy. Professor Catherine Best, who is the Speech and Language research program leader at the MARCS Institute, said the EMA was also successfully paired with other specialised speech recording equipment to simultaneous capture data of tongue movement together with data of the speaker's full-face motion, and the dynamics of their tongue shape during speech. "It was also used to simultaneously track the movement of two speakers' tongues during conversation," she said. "The findings of these studies give researchers and speech therapists a better understanding into the underlying principles of language and speech production. "Importantly, these types of studies assist researchers to identify techniques involved in the production of indigenous languages that may otherwise be lost." Thanks to the donation, SWUFE will launch a new research centre focused on studying and revitalising indigenous languages that are on the brink of extinction in Sichuan and other regions of China. The Research Centre for Monsoon Asian Languages and Culture will open in China at the end of this month and will cement a new collaborative partnership between colleagues at the National Tsing Hua University in Hsinchu, Taiwan, researchers at SWUFE and Western Sydney University's MARCS Institute, who each investigate the indigenous languages of their regions. The MARCS Institute is already a global leader in the research areas of speech and language, particularly in speech production and perception across many languages and infant language acquisition. Professor Best said this partnership would further expand the research potential of MARCS into indigenous and endangered languages of Asia, and allow for the opportunity to access greater diversity across research investigations. "This research is important because the more that we as researchers understand about the production of speech and how we as humans learn languages, the more applications we can identify," she said. Professor Best said some areas that the research findings may be applied to relate to the health industry where a speech pathologist may train a person to relearn their language skills after an injury or disablement such as stroke. "Findings on how speech is produced are also used in speech therapy, for example, to assist a child who is having difficulties learning to speak," she said. "This research goes a long way in building a positive partnership with our fellow researchers in China and Taiwan, and also creates a positive link for international students to complete post-graduate study at the MARCS Institute in Sydney."